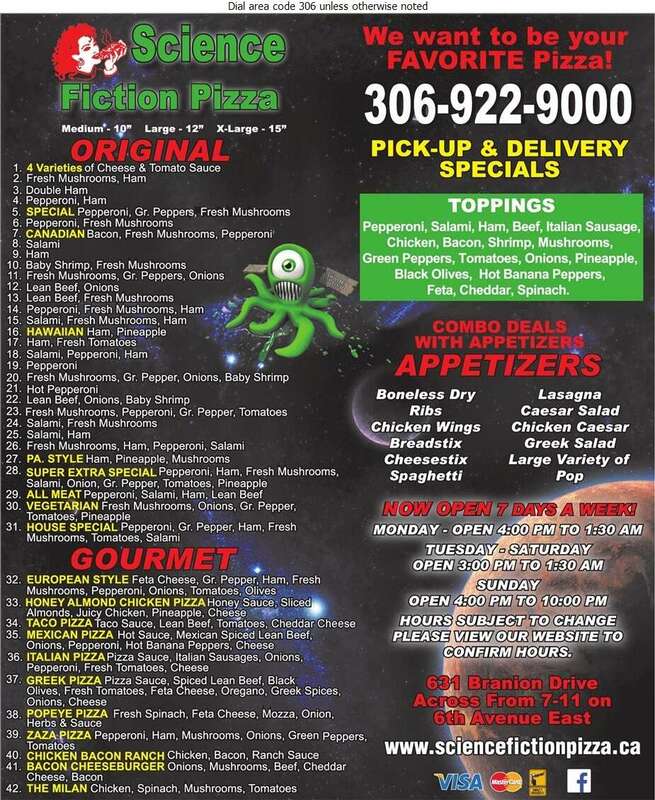 Science Fiction Pizza is a family owned and operated business established in Prince Albert in 1988. Our unique taste can be attributed to our dough making process as well as preparing and using fresh local ingredients. The stone ovens we use allow for a deep golden crust and a longer cooking time to gently rise the dough and cook our pizza's to perfection each and every time. From your first bite to your last, you'll be satisfied with every bite in between.